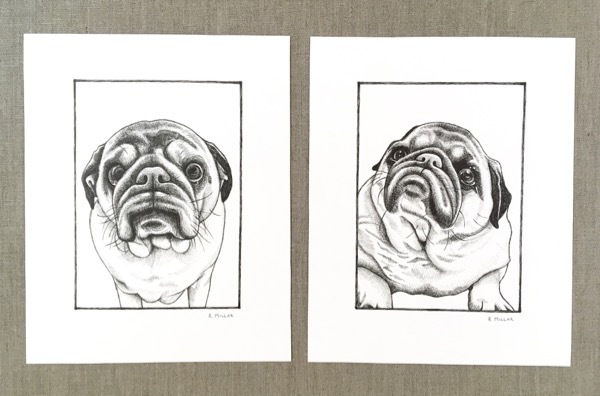 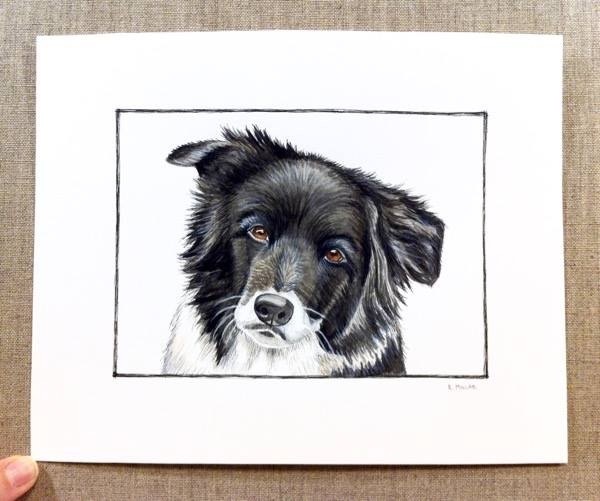 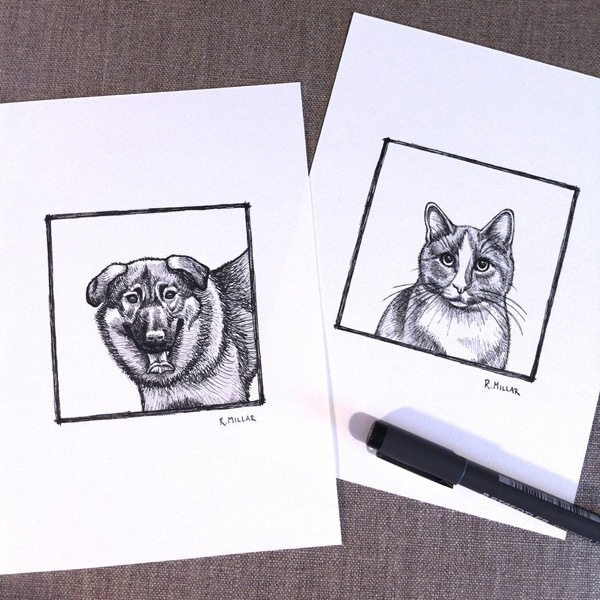 This series features expressive custom pet drawings in ink on paper, and are available in two styles ‘Original’ (just black ink) or ‘Splash of Colour’ (black ink + watercolour accents). 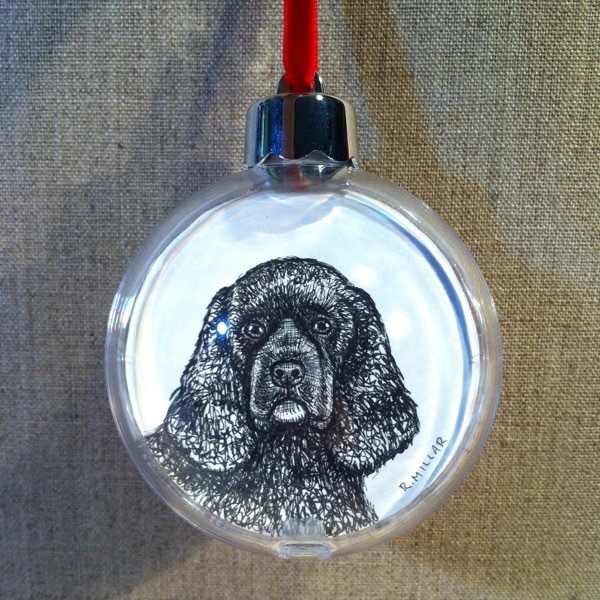 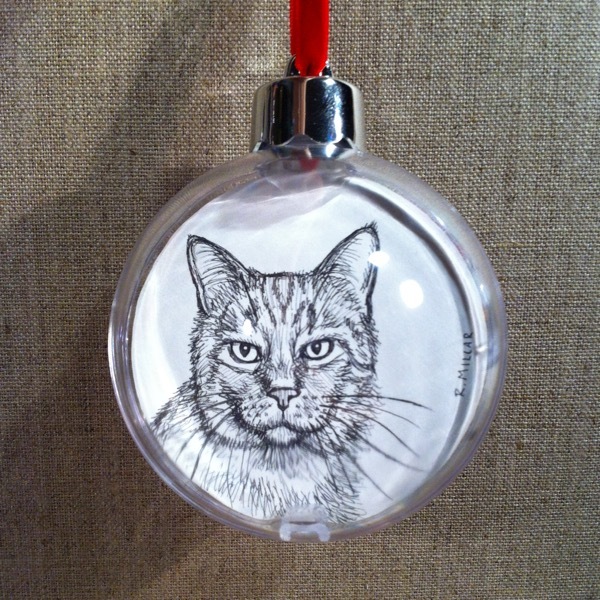 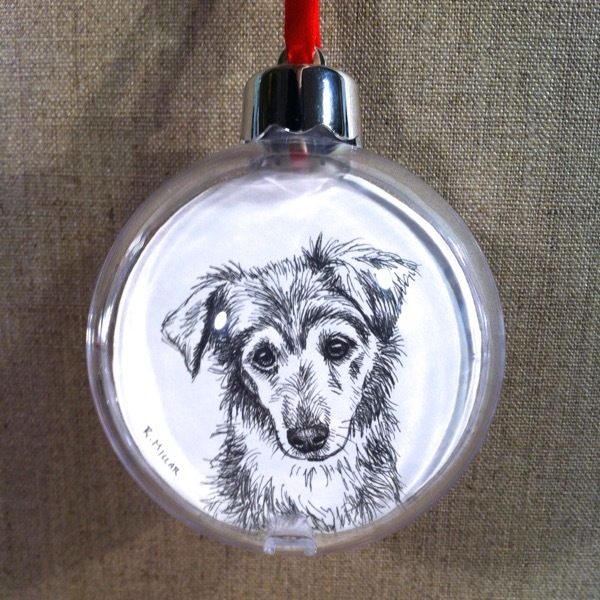 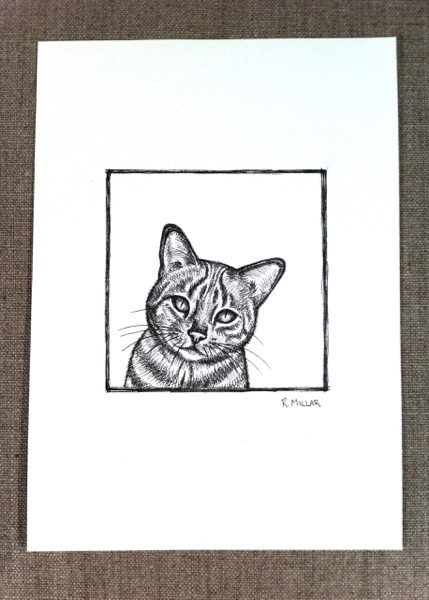 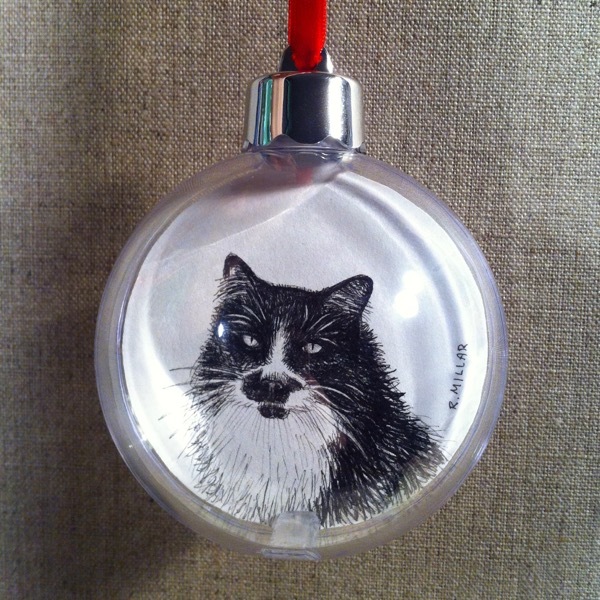 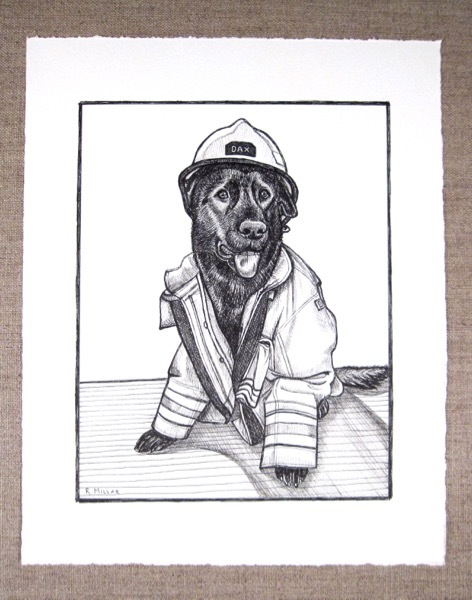 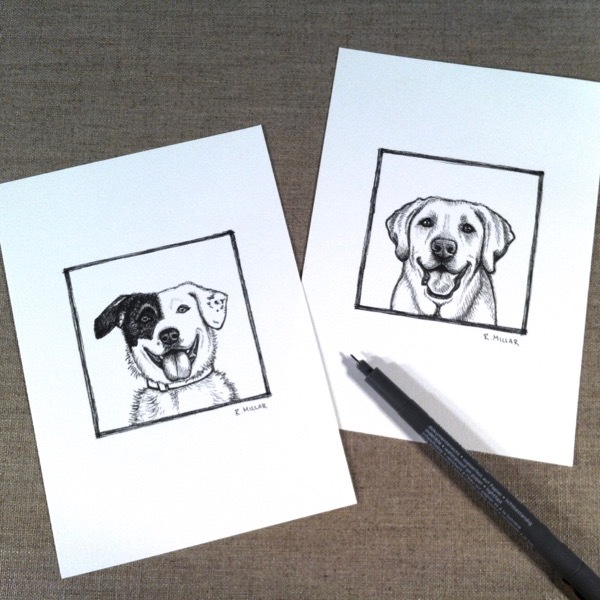 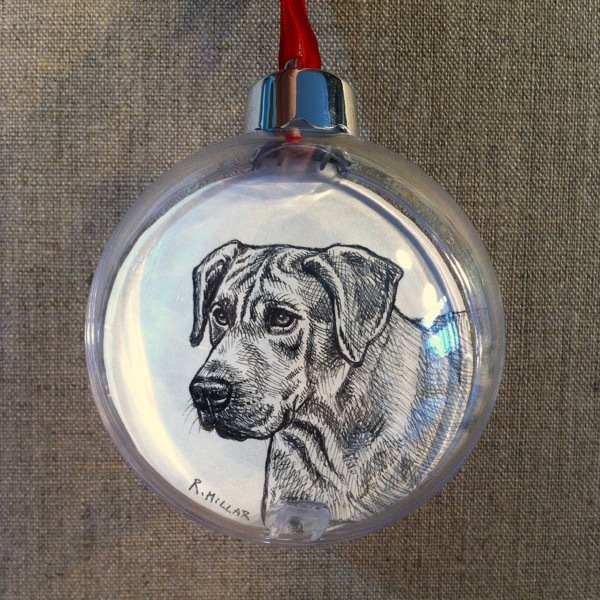 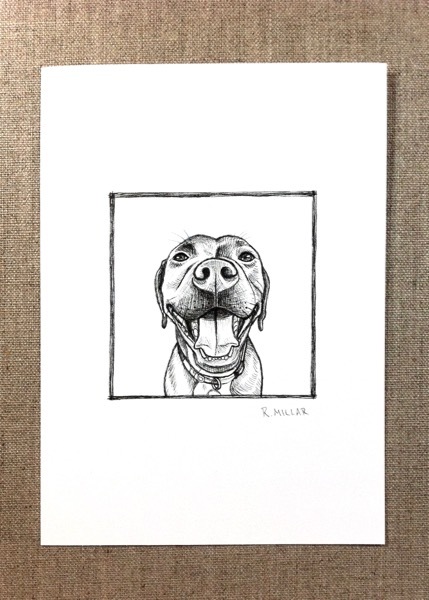 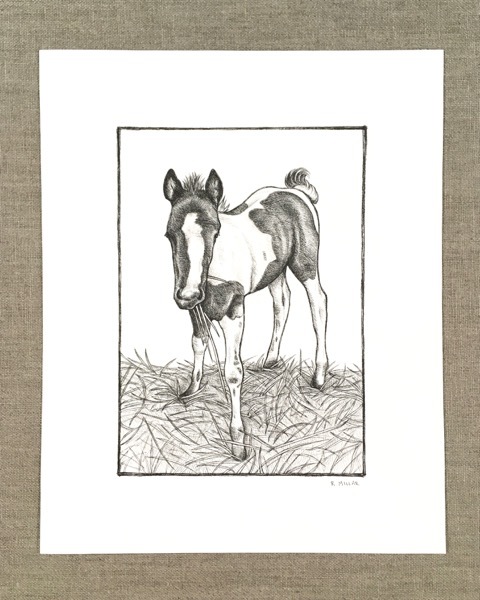 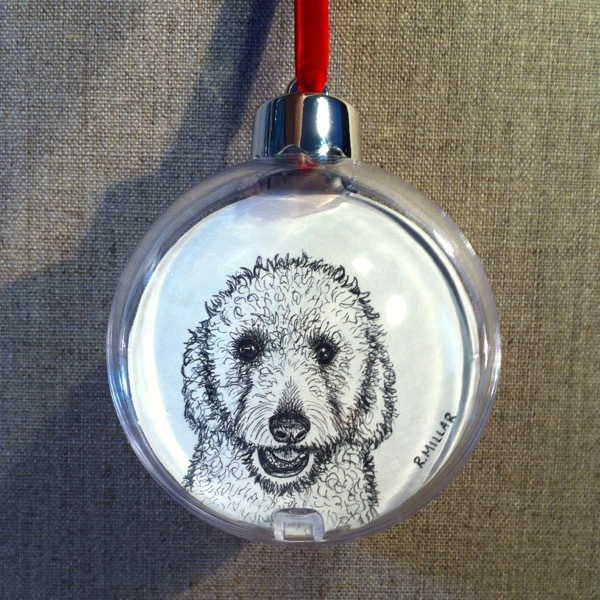 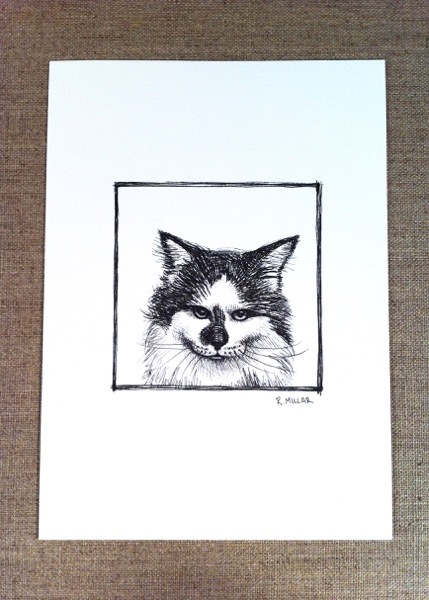 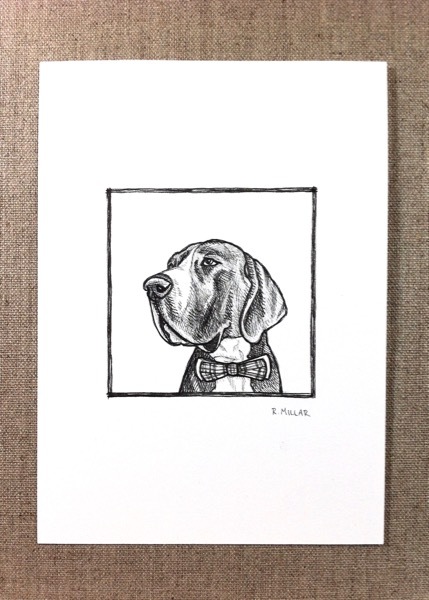 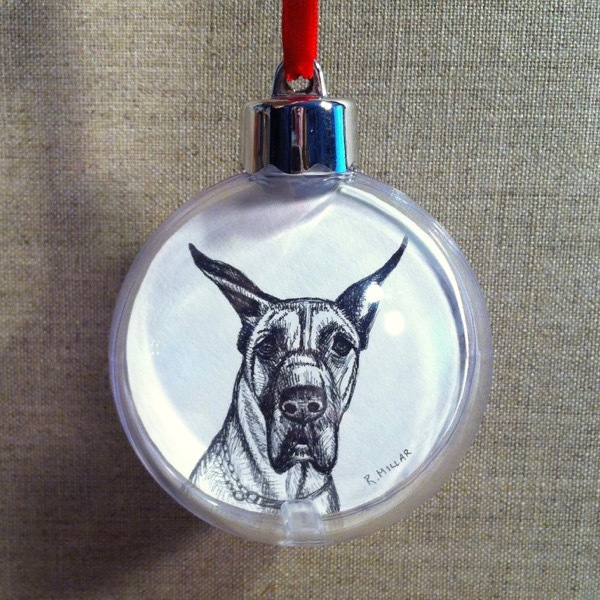 Pets-A-Sketch drawings are a fun gift option for any animal lover, or to celebrate your own beloved pet! 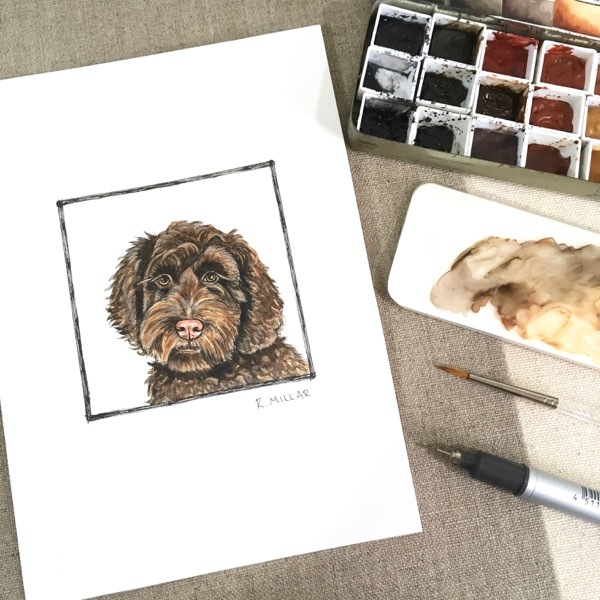 They are based on your very own photos, and are created using only the finest artist quality paper, ink, and watercolour paints. 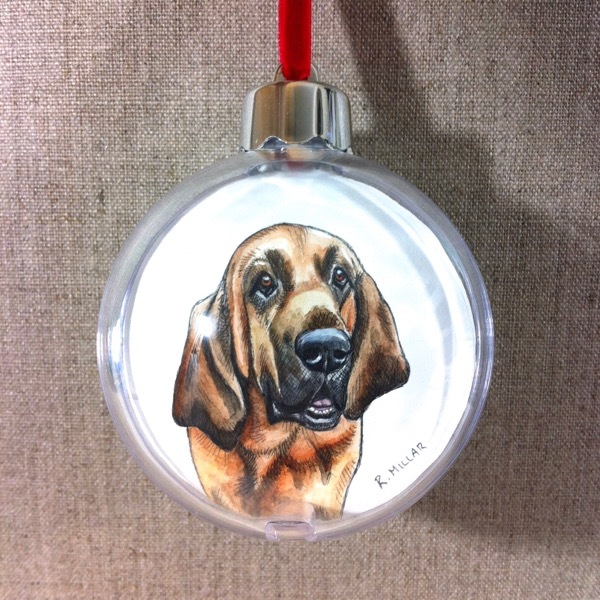 For details on how to order, please view this page HERE. 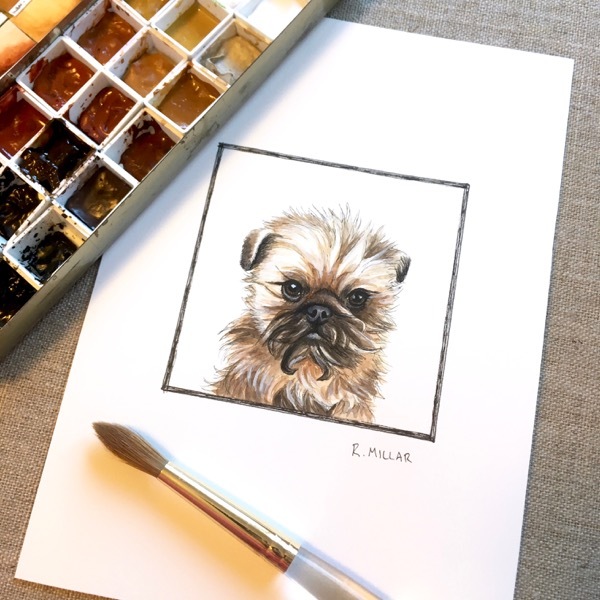 – Pets-A-Sketches are intended to be an expressive (aka more relaxed) style of drawing, therefore proofs or revisions cannot be provided. 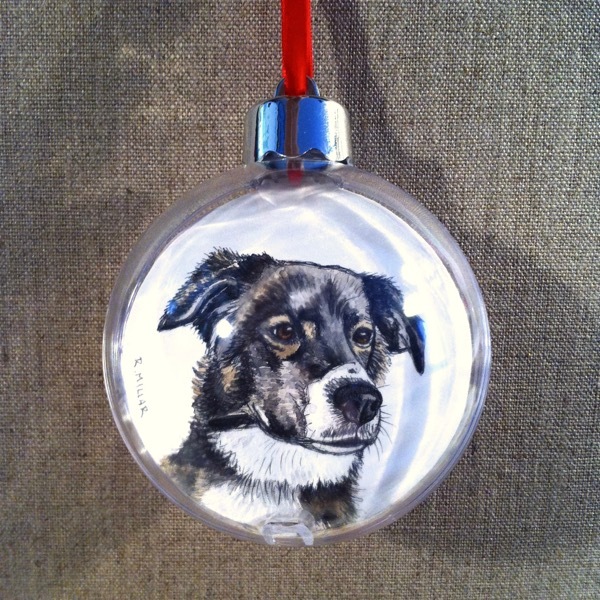 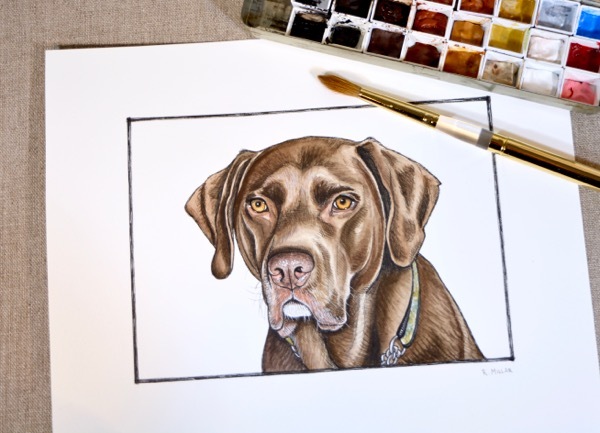 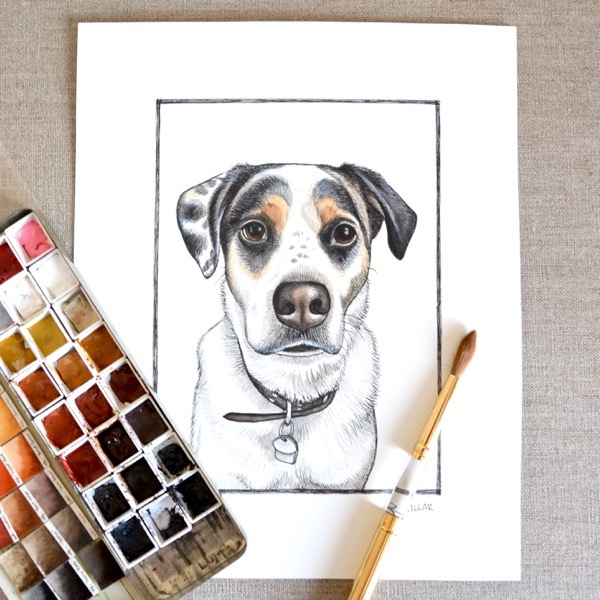 For a more precise artwork style, please check out my Pet Portrait painting options. 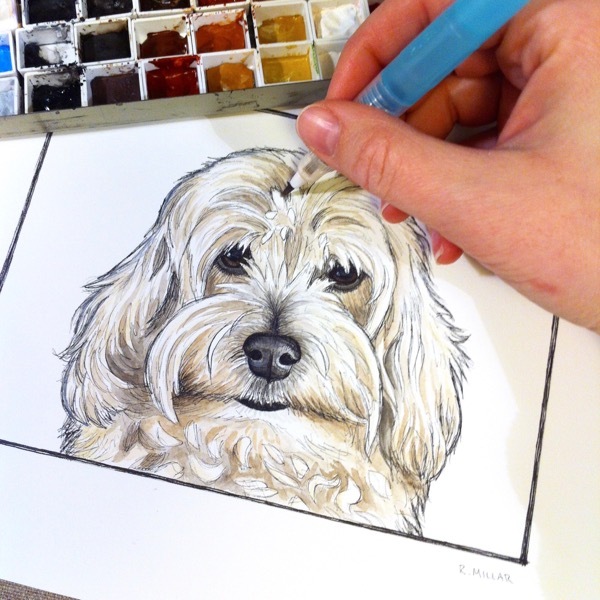 – The completion time for sketches is approx. 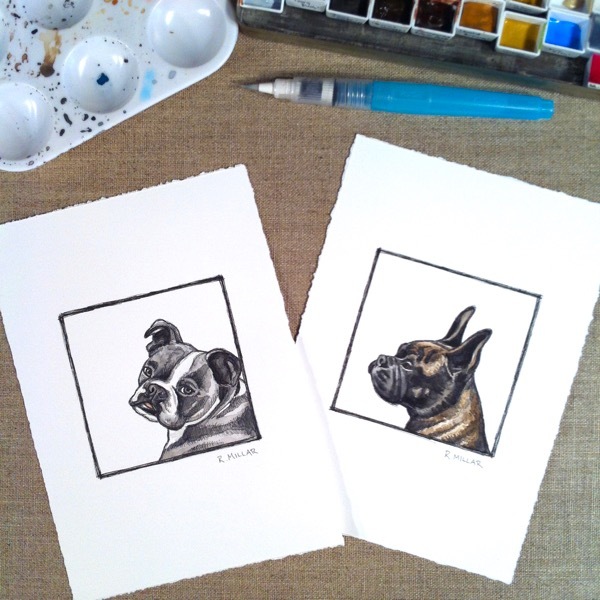 1 to 2 weeks, unless otherwise agreed upon. 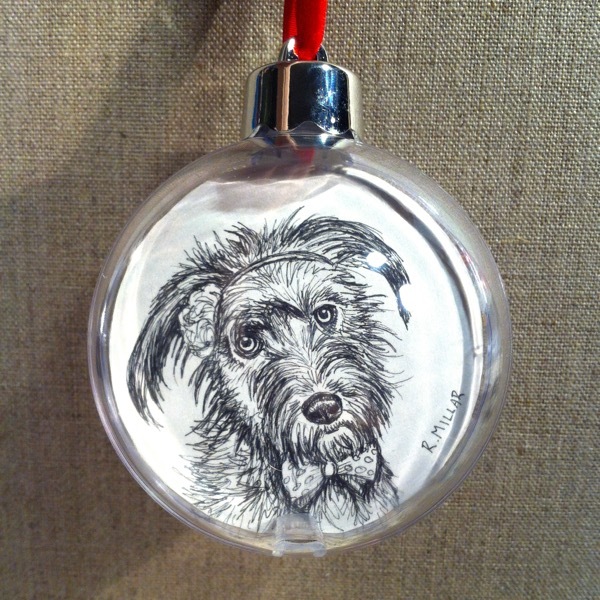 *If you require your order by a specific date this must be confirmed at time of ordering. 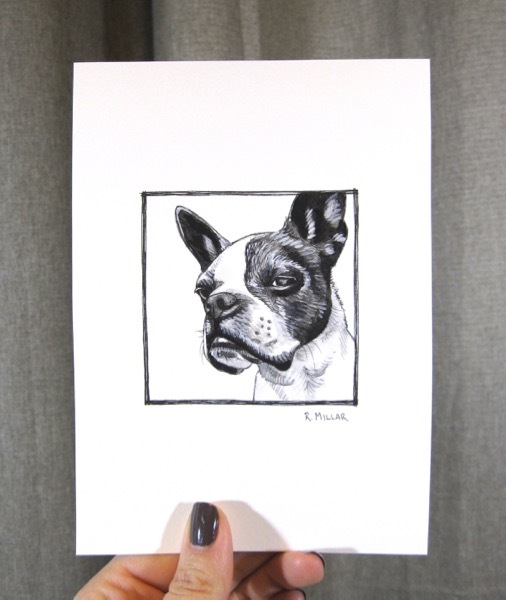 – All sketch orders are on a pick up (Calgary) or mail out basis only. 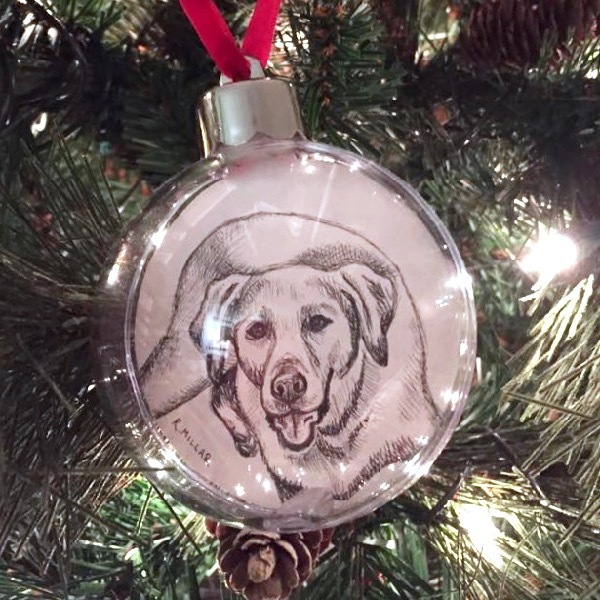 – Ornaments automatically come with a red velvet ribbon, but can be changed to black, navy, brown, or olive for a 50⊄ charge. 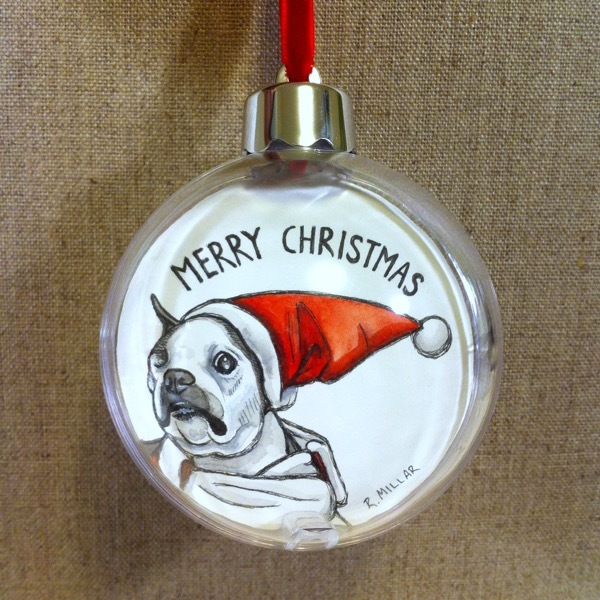 – Ornaments come packaged in a box with tissue, while 5×7 and 8×10 versions come unframed in a clear cellophane sleeve. 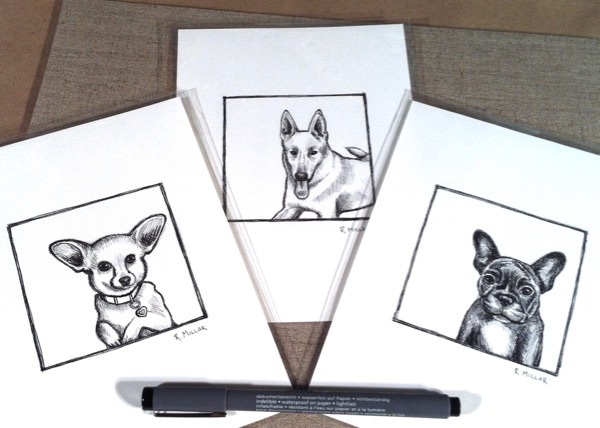 – For custom sizes, or sketches with more than one pet together, please contact me for a custom quote. 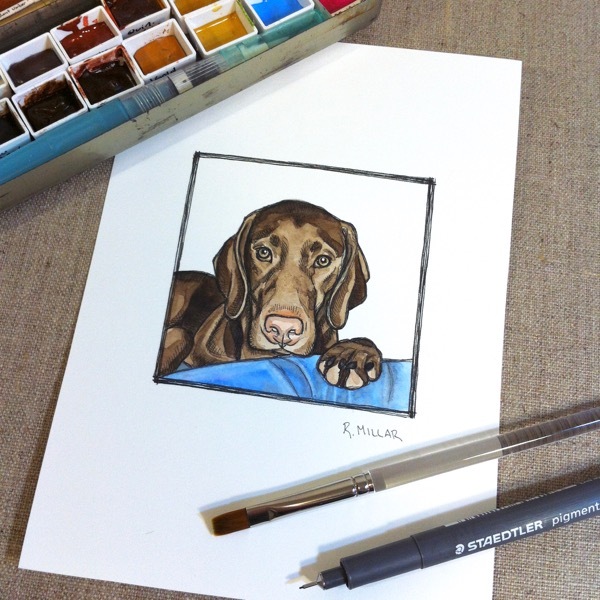 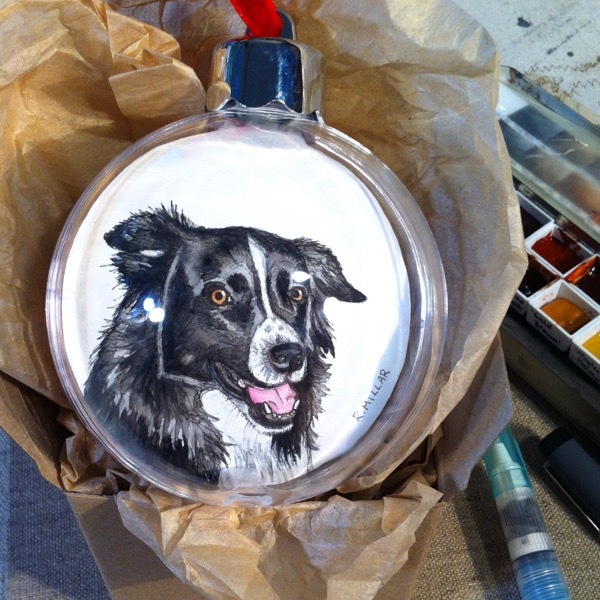 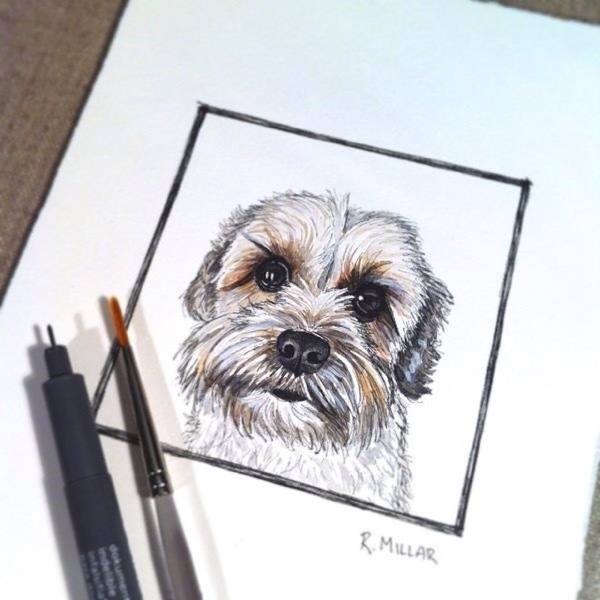 – Gift Certificates are available if you would like to give a sketch as a gift (ideal for when you don’t have access to giftee’s pet photos). 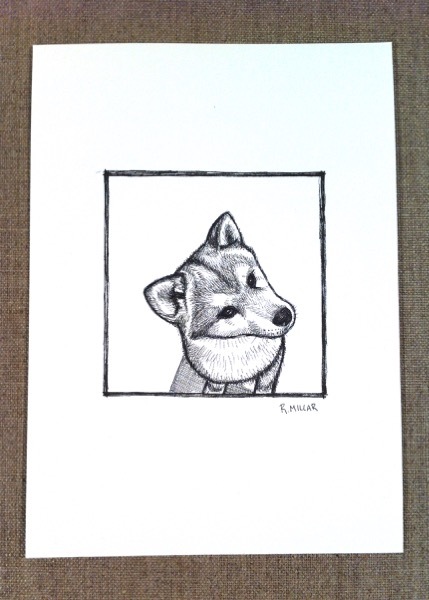 – Due to the custom nature of the sketches, all artwork orders are final sale (no refunds).